***THE NUMBER ONE INTERNATIONAL BESTSELLER*** `Fans of Cloud Atlas and Never Let Me Go will love The History of Bees' Good Housekeeping`Dystopian and electric, this book is set to blow minds everywhere' Stylist'Haunting and poignant ... an important and wonderful book' Dave Goulson, bestselling author of Bee Quest In the spirit of Station Eleven and Never Let Me Go, this dazzling and ambitious literary debut follows three generations of beekeepers from the past, present, and future, weaving a spellbinding story of their relationship to the bees - and to their children and one another - against the backdrop of an urgent, global crisis. England, 1851. William is a biologist and seed merchant, who sets out to build a new type of beehive-one that will give both him and his children honour and fame. United States, 2007. George is a beekeeper and fights an uphill battle against modern farming, but hopes that his son can be their salvation. China, 2098. Tao hand paints pollen onto the fruit trees now that the bees have long since disappeared. When Tao's young son is taken away by the authorities after a tragic accident-and is kept in the dark about his whereabouts and condition-she sets out on a grueling journey to find out what happened to him. Haunting, illuminating, and deftly written, The History of Bees joins these three very different narratives into one gripping and thought provoking story that is just as much about the powerful relationships between children and parents as it is about our very relationship to nature and humanity. 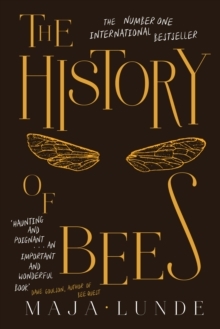 Praise for The History of Bees: `Spectacular and deeply moving. 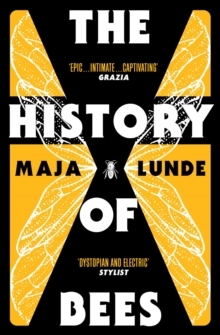 Lunde has elegantly woven together a tale of science and science fiction, dystopia and hope, and the trials of the individual and the strengths of family' Lisa See, New York Times bestselling author `Such is the genius of debut novelist Maja Lunde that her tale of three eras-the long past, the tenuous present and the biologically damned future-is strung on the fragile hope of the survival of bees' Jacquelyn Mitchard, New York Times bestselling author `As a lover of honeybees and a fan of speculative fiction, I was doubly smitten by The History of Bees. 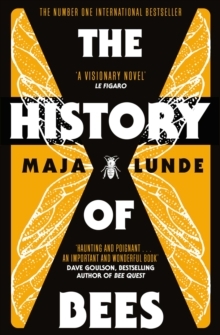 Maja Lunde's novel is an urgent reminder of how much our survival depends on those remarkable insects. It is also a gripping account of how-despite the cruelest losses-humanity may abide and individual families can heal' Jean Hegland, author of Into the Forest `By turns devastating and hopeful, The History of Beesresonates powerfully with our most pressing environmental concerns. Following three separate but interconnected timelines, Lunde shows us the past, the present, and a terrifying future in a riveting story as complex as a honeycomb' Bryn Greenwood, New York Times bestselling author`Here is a story that is sweeping in scope but intimate in detail' Laura McBride, author of We Are Called to Rise'A brilliant and beautiful novel' Jan Askelund, Stavanger Aftenblad 'She does everything right [...] She paints on a broad canvas, the topic is highly important and the language is both comprehensive and precise' Geir Vestad, Hamar Arbeiderblad'One can easily understand the buzz ...' Maria Arolilja Ro, Adresseavisa'The settings portrayed in the novel are impressively visual and each character is perfectly naturally rooted in his or her own era and environment' Janneken Overland, Klassekampen'Maja Lunde will reach a big audience with The History of Bees. (...) She has written a novel many will read in one go, and then sit down and think, about life, the world and the future.